My friends at The Class Room in Houston asked me to share with you guys a pretty cool limited edition denim jacket made in partnership with 3sixteen. 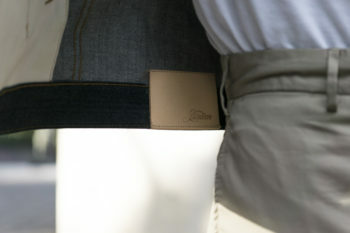 The press release, photos and a video by Eugene Yu of 3sixteen about the jacket after the break. A fifth anniversary is an important milestone, so we knew we wanted to do a commemorative product release that was truly special and unique. Of course we wanted to create something stylish, but we felt the product should be functional, and something we could get a lot of use out of. A denim jacket is nearly an ideal piece of outerwear for Houston and could be worn almost year-round. 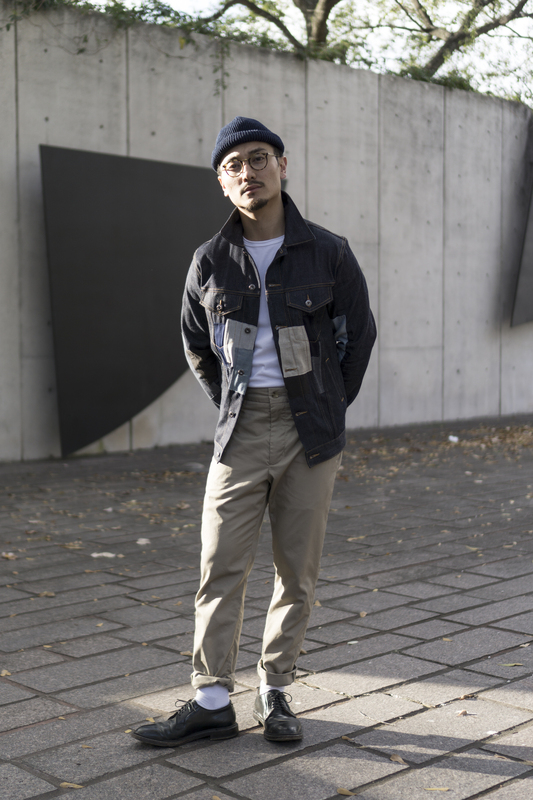 Further, TCR Style Director Alan Javillonar has long been a fan of Japanese design, workmanship, and their ingenious ability to create new, fresh interpretations of classic menswear pieces. With this Japanese inspiration in mind, the idea of a patchwork denim jacket came to light. We’ve had a wonderful relationship with the gentlemen at 3sixteen for several years now, so it seemed like a perfect opportunity for a product collaboration. Lucky for us, when we asked if they would be interested in creating a custom version of their iconic Type 3s denim jacket, they loved the idea and were eager to get the project started. 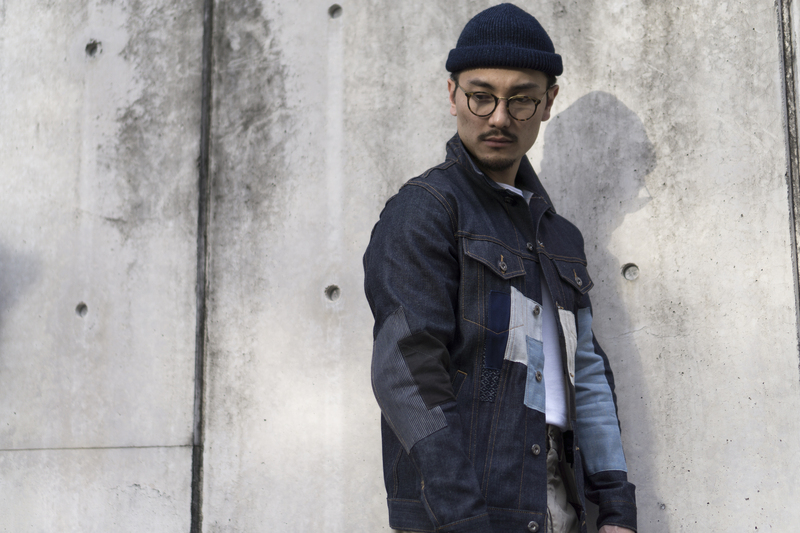 The Patchwork Type 3s Jacket for The Class Room is made from 3sixteen’s lightweight 101x denim, a 12oz custom-woven denim from by Kuroki Mills in Okayama, Japan. 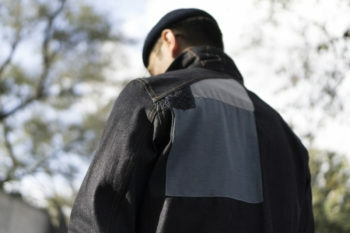 For the jacket patches, the fabric was sourced from an array of places in Japan. 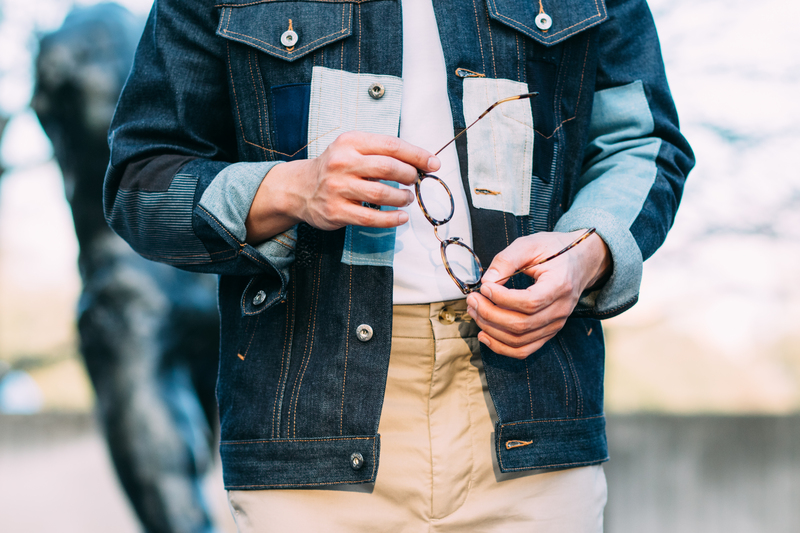 The construction of the jacket is a testament to 3sixteen’s commitment to quality, creativity, and workmanship. The denim jacket panels were cut in 3sixteen’s factory in San Francisco, and then shipped unsewn/unassembled to Wesley Scott of 3sixteen in New York. Wesley meticulously planned one-by-one each patch’s position on the jacket before sewing it into place himself. 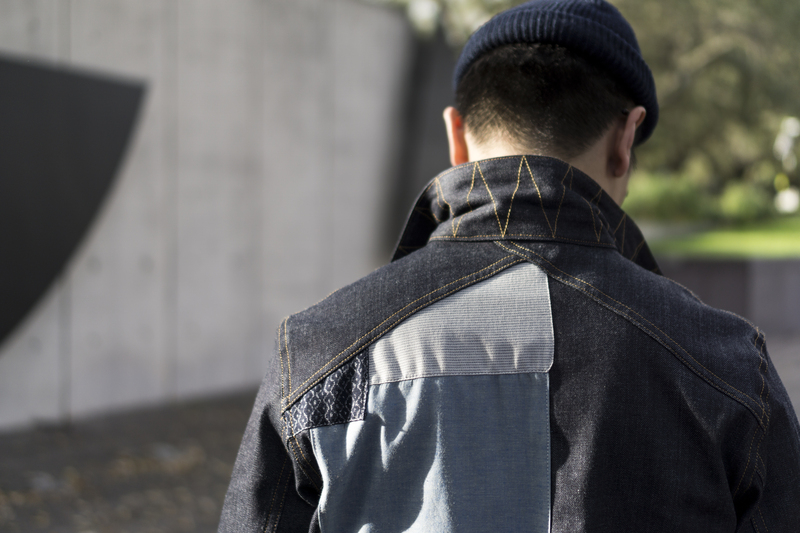 Each jacket features a completely unique patchwork layout, and no two jackets are alike. 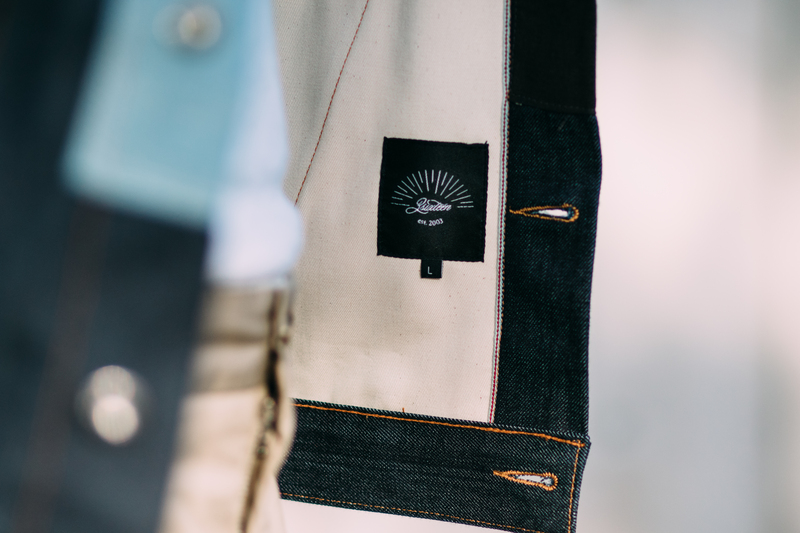 After the individual panels were “reconstructed” with the Japanese patches, they were sent back to the San Francisco factory, and the jackets were finished using the same construction methods as 3sixteen’s other Type 3s jackets. 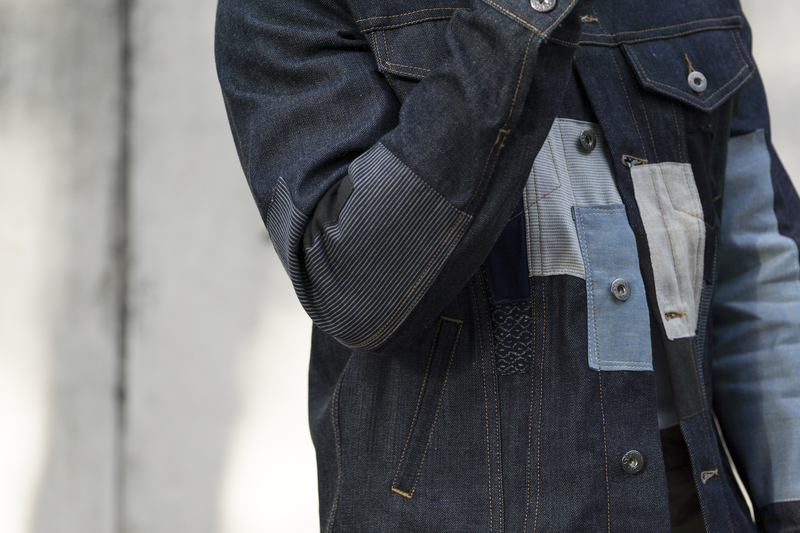 The Patchwork Type 3s Jacket features all of 3sixteen’s signature detailing this silhouette is known for. Zig zag stitching under the collar, selvedge line in placket, custom gunmetal shanks and rivets, and a Tanner Goods leather patch subtlety hidden at the back waist. The jacket’s yoke is 3sixteen’s trademark cross yoke. Finally, the 3sixteen Type 3s eliminates the standard type III back seams and waist cinches, resulting in a cleaner design. We could not be any happier or excited with how the finished product turned out. This jacket is extremely limited, with only 20 produced. The jackets will be available for purchase in-store and on The Class Room’s webstore starting at 11am CST on Saturday, February 18 for $550 USD. 3sixteen will have the jackets available on their webstore soon after. For more information visit The Class Room blog.